Always conduct your training in a vibrant and joyful manner. Click Image for Full Size Image! The official dedication of Burt Memorial Aikikai and the unveiling of the Memorial Plaque took place on Sunday, 24 February 1980. The ceremony was presided over by Derm McDonald, president of the Newfoundland and Labrador Aikido Association, who gave a brief talk on the contribution of the late Graham Burt Sensei to Aikido in Newfoundland. The ceremony concluded with the unveiling of the Memorial Plaque by the President. A large number of students of the Aikikai were on hand for the ceremony, which ended with a resounding note of applause in honor of our late Sensei. Derm McDonald at the unveiling. Graham Burt came to Newfoundland during the mid-sixties and introduced the Japanese Martial Art of Aikido to this province just shortly after he had received his shodan from Nakazono Sensei. He already had held a sandan in Judo, awarded to him in the mid-fifties by Kenshiro Abbe Sensei. Sensei Burt originally began teaching Aikido at the St. John's Recreational Centre, Buckmaster's Circle (a former RCA Military Base) and at the Riverdale Tennis Club in St. John's. 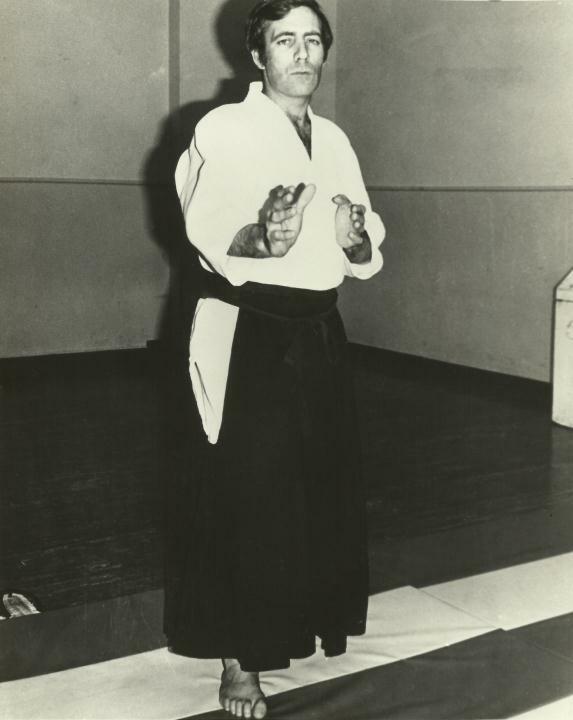 By 1972 he largely expanded Aikido by opening a dojo at the St. John's branch of the YMCA. In 1975 Sensei Burt and students moved to 22 Flavin Street in St. John's where he established the Caribou Dojo, one that provided practice several hours a day, five days a week. The Caribou Club, in 1977, moved on to Barnes Road in St. John's where facilities were slightly better, though smaller, and finally to 13 Terra Nova Road in St. John's in 1978 where once again facilities were a further improvement as we can see here this morning. By this time the name, Caribou Dojo, was changed to St. John's Aikikai, to underline the fact that this dojo was Aikido Headquarters for Newfoundland and Labrador. During the twelve years that Sensei Burt resided in Newfoundland, he taught Aikido on a full-time basis, day and night. Junior Aikido Clubs were established at Holy Cross Boys' School, St. Bonaventure's Boys' School, St. Pius X Boys' School, St. John Bosco School, and the 510 Lions RCAF Cadet Squadron, Pleasantville. In Bay Roberts, Baie de Verde and Stephenville, communities outside St. John's, Sensei Burt continued his expansion of Aikido in Newfoundland through the establishment of further Aikido dojos. To these communities he would often travel during the week, but mostly on weekends, where he would hold two and three-day seminars in Aikido and also instruct Judo classes in conjunction with a Nidan Judo student of his, Mr. Keith Billard. In 1973 Sensei Burt initiated the formation of the Newfoundland and Labrador Aikido Association and was instrumental in drafting the first constitution of the Association. Since 1973 he held the position of Provincial Coach and Chief Instructor of the Association, though he was considered this by his students at all time before any Association was formed or any constitution existed. In December, 1978 he declined nomination for the position. Sensei Burt's only desire at this time was to teach Aikido and play a minimal and sideline role in the political and organizational aspects of the art. As he so often said himself, "Just Practice". A quiet and noticeably unassuming man, he was totally dedicated to the spirit of Aikido and Budo . He places little value on rank, position or material wealth, things that might be considered highly prestigious by today's standards. 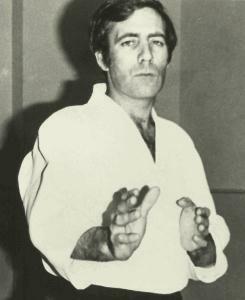 Regardless of the position of Provincial Coach, Sensei Burt was still considered up to the time of his death as the "Newfoundland Sensei". Sensei Burt was totally committed to Aikido and envisioned it as a way of enriching his own personal life and that of his students. He pursued the study of Aikido in England, Wales, Belgium, Germany and France, wherever he might find the great Japanese Masters who were students and disciples of Ueyeshiba Sensei, Founder of Aikido. His own training was primarily under Professor Kenneth Williams, Aikikai of Wales, United Kingdom, and Nakazono Sensei, whom he considered to be his teacher. Sensei Burt spoke frequently of Nakazono Sensei and expressed in his conversations that he was indebted to this man for what he had given him - his Aikido. Of the numerous visiting European and North American senseis to Newfoundland, Sensei Burt held a particular admiration for Kanai Sensei, New England Aikikai, who awarded him his Nidan in 1975. Sensei Burt respected Kanai Sensei deeply and felt that in Kanai Sensei he had rediscovered the Aikido that had been given to him by Nakazono. Sensei Burt originally conducted an Aikido Dojo and a Judo Dojo at home in Devizes, Wiltshire, England, prior to his coming to Newfoundland. However, as his mother is a Newfoundlander, he felt quite at home in Newfoundland and up to the time of his death certainly considered Newfoundland to be his home. Sensei Burt accidentally died through a tragic drowning accident on August 4, 1979 on the Salmonier Line, just thirty miles west of St. John's. His passing is felt as a monumental loss to his students in Newfoundland. In this particular instance, I feel, someone is gone who is really not expendable. For the larger part of Aikido students in Newfoundland, I am sure, he was the focal point of Aikido, the ultimate teacher, a true friend, consultant and confidante. Sensei Burt's approach to the teaching of Aikido was what he called himself the "Form Method", one that will certainly be perpetuated by his students. His knowledge of Aikido seemed endless, and aside from "mat practice", he proclaimed Aikido daily in his life. On the lighter side of things, Sensei Burt will be particularly remembered for his tests which most of his students considered quite difficult. His words, "Performance Counts", or "Sorry, try again", will not be soon forgotten. Yet, his methods of correction were an inspiration to those who might not always pass a test and provided sufficient incentive to carry on and "try again". Sensei Burt - the true Aikidoist - will not become just another name among a long list of Aikido instructors that we have come to know here in Newfoundland. Sensei Burt will and already has become the inspiration for the future of Aikido in this province. The Aikido Institute of Newfoundland Is on Facebook, Click here to check out our group. The Aikido Institute of Newfoundland is proud to be affiliated with stjohnsdojos.net. East End Aikikai provides an Aikido Experience for Young Children, Please visit the page for more information. The Wikipedia Article on Morihei Ueshiba - the founder of the Japanese martial art of aikido. Click for information obout our friends in Cuba. Click for information obout our friends in Hawaii.